Savor the silence! 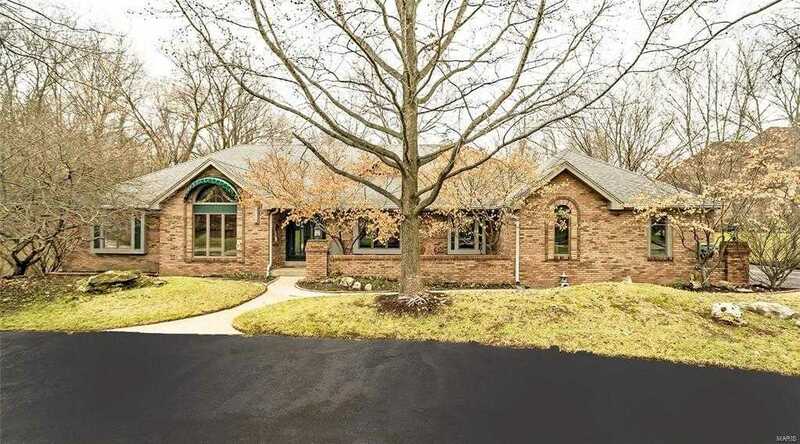 If you crave privacy, consider this 4BR, 3.5ba brick ranch resting on its own acre in prestigious Kehrswood of Clarkson Valley. Built on a grand scale yet so intimate & warm, this pridefully clean ranch offers 3900+sf w/finished walk-out LL. And the Summer of 2019 will be one to remember beside your own sparkling, grotto-style swimming pool! Vaults, wood floors, Andersen wndws, Windsor doors, skylights, moulding, millwork, main flr laundry, screened porch, newer roof, hi-effic furnace, zoned HVAC, 2 HWHs, sprinkler sys, 3 car gar, circle drive; the list of features & upgrades is impressive! Kitchen is a gourmet’s delight w/granite counters, tile flr, SS app, (dble-convection oven), cabs galore, 2 sinks, vaults & skylight. Vaulted Master Ste has luxury bath w/heated tile floor. You and your guests will love the finished LL that features a huge recreation area, wet bar, full bath and 4th BR. Convenient to everything, including Rockwood Schools yet ensconced in nature!